This RacePro pad model fits Campagnolo 10/11 (including 2011 and later models) and Zero Gravity holders. This version features the Black Prince high performance compound for carbon rims. The Prince compound provides superior modulation on carbon brake track. 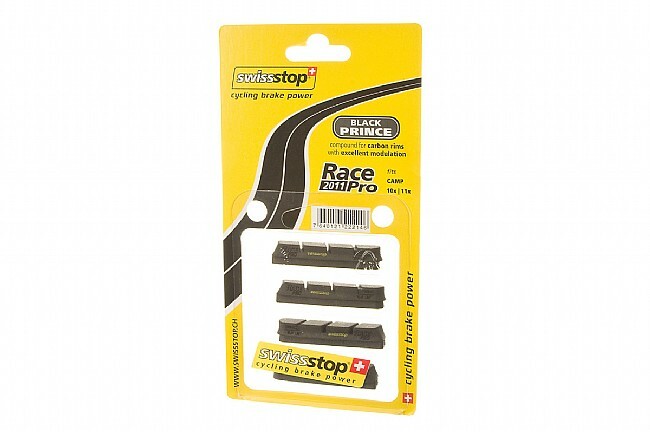 RacePro Black Prince Brake Pads are not designed for use with aluminum rims. Sold in sets of four pads (enough to retrofit a front and rear brake).